Sandy Springs Towing Service provides fast and affordable lockout service anywhere in the city. We’re available 24 hours a day, weekends and holidays, rain or shine. No matter where you are in Sandy Springs, give us a call right away. The sooner you call, the sooner we can arrive and get you back in your vehicle where you belong. While you wait, please make sure you’re in a safe location while you wait for us to arrive. If it’s dark and you don’t feel safe, please move to a well lit and populated location and keep us updated. Once we arrive at the scene of your vehicle, you can return and we’ll get your vehicle unlocked. If you feel it necessary or can’t move to a safer spot, call the Sandy Springs Police Department: (770) 730-5600 right away. Just request an officer’s presence until we arrive. Our roadside service professionals have years of experience in all types of roadside assistance situations. They’re more than qualified to get you back on the road quickly and easily. 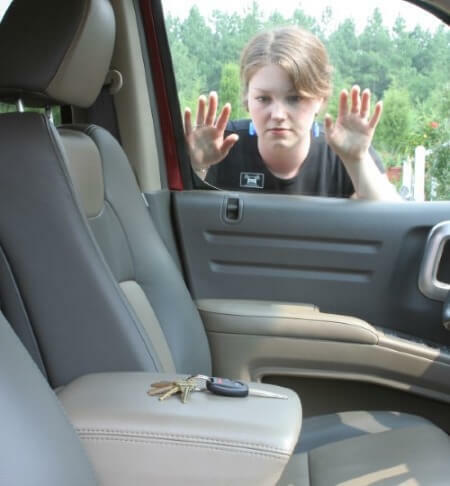 Just call us at 404-800-6501 for a fast and affordable lockout service in Sandy Springs. The sooner you call, the sooner we’ll arrive.